Work for Google Cloud Speech API? Learning about Cloud Speech API? "Google Cloud Speech API Review"
To be honest, nothing at all. It is well designed, supported and very robust all at a reasonable price. The problems we encountered during install and going live, were due to internal issues. Try the free trial to see if it is a good fit, you won't be disappointed. We were not sure at first, but our employees, some who have physical challenges (can't type, etc) were absolutely thrilled, before we even finished with the free trial. Transcribing accurate meeting and Board of Directors notes and minutes. Very helpful due to the fact one of the offices is in France and was able to handle with no problems. Provides accessibility for our clients and some of our employees who have a variety of physical challenges. "It's not free but it does Speech2Text"
First of all it is nice to have Speech2Text cloud service and API that you can use for your videos or audio files. The API is availbale for the most platforms which is nice. The support is good and answers to issues quickly. The service does a good job, but of course it's not perfect. so don't expect a perfect conversion of every word. There are various limitations, especially if you are not using Googles cloud storage. So you will not be able to send a 30 minutes track at once to the service. So you will have to split the file into chunks to overcome the limitations. I would recommend extracting the audiio track form your videos and send them as a FLAC audio file to the service, this also saves money, since there are differnt charges for video and audio. You get a free amount of minutes, so it's free to just try it. We implemented a Speech2Text solution for one of our customers usings the API. We are creating VTT for videos and audio files. This means creating subtitles for videos automatically and beeing able to index the text for the search engine. It isn't perfect. There are times where Ive caught couple errors in the transcription but I understand that it is just how the technology is developing and it already came a long way. We have client meeting calls where we want to record and transcribe. 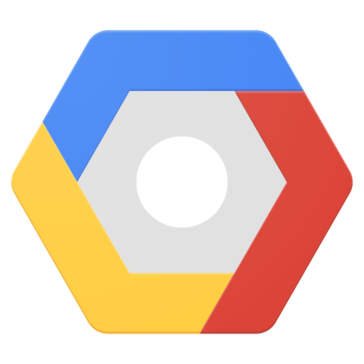 Google cloud speech API allows us to do that into our servers and it is amazing! "Robust and powerful Speech To Text Engine"
I can't think of any dislikes for this api. Definitely use their free trial to check it out for yourself. Nothing speaks better on a product than a successful test run. I am using this as my speech to text api for a custom voice user assistant, which will be servicing users with a variety of accents, and one day, different languages. "Next level of technologie "
"Great Accuracy and Performance, No offline support "
Having done some light testing of the accuracy of the service I can say that the transcriptions are very good. Also, the API allows several configuration options which can potentially improve performance for your use case. The major use case missing from the service is offline support. The Google Cloud Speech API provides an inexpensive way to get access to highly accurate speech to text transcription. We are using the resulting transcription as an input to a variety of services and projects being developed at my company. "Ultimate Speech to Text application "
- Most of the time it gets what you're trying to say. - It's the future of typing. - it has made typing very fast and super easy. I want to be able to use the product benefits without having to login. So Im saying Id like to have an anonymous option. Accessibility for disabled as I have rheumatoid arthritis and can have pain when typing for longer periods. "Slow to process, but accurate." Easy to use once installed, relatively accurate. We used it as part of a biomedical device with speech control using Python. Be prepared for a lot of trouble shooting during set up, and a lot of research into how to solve the problems, since they’re not always readily available on Google’s site. Good transcription accuracy even for longer audio files. Support formats such as WAV, Speex and Opus. You have to use Googles cloud storage or you will be limited. We used the Cloud Speech API to get almost real-time transcriptions of our dealers’ chats with customers; these transcriptions have helped us to increase sales. "Google Voice API is the best around"
Speech Recognition is active and highly recognized. Interface to use in 'Ok Google' Ai powered assistant and create UI cards and prompts. The Google Cloud Speech platform does not have as big user community as its Voice AI tools are fairly new. Learning Voice applications to innovate new functionality for Google Voice. "Extremely accurate voice recognition, in the cloud, cheap as chips"
Abit complex to embed into certain pieces of software. Acoustic optimisation and building upon profile creation would be ideal.. it doesnt seem to get better the more you correct it. Save time with people typing work.. significant work load improvements. Learning about Google Cloud Speech API? * We monitor all Google Cloud Speech API reviews to prevent fraudulent reviews and keep review quality high. We do not post reviews by company employees or direct competitors. Validated reviews require the user to submit a screenshot of the product containing their user ID, in order to verify a user is an actual user of the product. Hi there! Are you looking to implement a solution like Cloud Speech API?